About three years ago I came to a crossroads in my thinking. The first few years of adapting to parenting a life threatening food allergy was absolutely overwhelming. I began to see everything in a different perspective. All of the good and wholesome idea's I'd thought I'd known my whole life were nipped at and deconstructed until I felt clueless and alone in our circumstance. We literally had to rethink everything and be okay with the fact that it seemed no one understood our decision making. That in itself proved to be particularly challenging. We've struggled greatly to find a support system because, like with most anything, people's interest in our situation revolves around their own self interest and desires. People somehow don't understand that our lifestyle is not simply a choice, but a life preserver that keeps our little girl alive and breathing day to day. We've learned to initiate compassion and encourage change, but have realized that the only thing that matters is our child's safety and not anybody else's input. We don't have the generational choice to do things the way someone else has, or follow anyone's footsteps. We have to travel the unknown and make our own path against all of the obstacles. We are trailblazers in this way and hold a great deal of responsibility and trust from others. A little over a year ago I finally gained a comfortable grasp on our situation. I started to see the strength in the foundation we are building for our daughter and our family moving forward. God has plan for our lives and our small family couldn't be more perfectly made for one another. We are many moving parts all working for the same purpose, and I now find myself counting all of the small blessings we've received. Every kind gesture and every attention to the details we take so seriously. The people who have opened their eyes and their hearts have made footprints on our path and our souls. They have stood along beside us on our journey, never allowing the extra efforts to pull us into a distant relationship. One of my biggest hurdles was gaining the understanding that we are never going to be the easy, low maintenance family that I had envisioned we were in the beginning. I don't like to leave a footprint, or be any added trouble to others so, in the past, I had usually settled for less not wanting burden others to ask for more. That ideal version of myself is not realistic in our lifestyle so I've learned to embrace the change. I know that we aren't high maintenance, we are at a higher level of consciousness, not everybody can "get" that. I also realize that I have learned A LOT, and it's nice to have a system that works and some newfound confidence with it. This is something I once thought I'd never get. I've always been better at advocating for others than for myself so God's perfect plan created a circumstance to explore my own strengths. 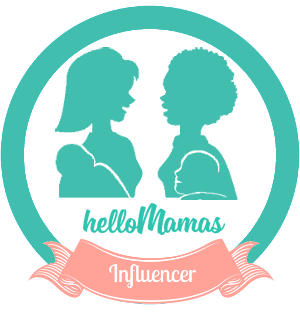 As a teenager, I always imagined that I would be a health driven mother someday. Encourage my children to make healthy choices, eat their veggies, take their vitamins, exercise, etc. I never imagined or conceived of the notion of having food allergies as a main decision maker in my family. It never occurred to me that a food allergy could shape our lives and change every relationship the way that it has. Or that in my quest to find milk-free items for my daughter I would uncover the dangers hiding in foods marked "wholesome". I would switch to organic, I would lay off the meat, and I would look to sesame seeds for calcium, but I have. And my journey so far has given me wisdom, strength and a huge life's purpose. There's a dichotomy between keeping your loved one safe and convincing the world to care. Finessing our way to that understanding is my biggest life dream. The day came in my journey when I realized I had plateaued in my Food Allergy advocacy efforts and I had a spirit inside me that wasn't done. I looked to food allergy organizations to begin my own chapter, but was facing a lot of regulations and commitments aside from the mission to advocate. I realized I was a little different in my convictions. Although we are all fighting for the same thing- food allergy advocacy and the well-being of those affected with food allergies, my focus is not on "fixing" the allergy. Finding a cure would dramatically reduce my fears, but there may be something next to worry about. I don't look at this "invisible disability" as something being broken. I look at food allergy, diabetes, ADHD, autism, cancers, heart disease and the common spectrum of physical ailments as a result of what really is "broken" in our food supply, and our societies value systems. When food choices becomes more important than a persons health and well-being, this becomes the issue that has something wrong with it. Food is fuel. I don't mean it shouldn't be enjoyable, delicious, and socially experienced. I simply mean what I said it's very basically just fuel. I understand that there's an emotional connection to food. An aroma that reminds you of your grandmother, or a time in your life you like to remember. These emotional associations with food are crutches for our feelings. When food manufacturers capitalize off of your patriotism, or feelings to sell you a low cost- high chemical diet, without a care in the world about your health, well THAT is what's broken in our society. When people are offended by my daughters allergy because of the effort and thoughtfulness it requires, that is the problem. As I looked left and right and looked to find inspiration in other groups, I saw people looking to be cured from their allergy. The truth is that there is a much deeper root here. I've seen children with milk allergy undergo the oral immunotherapy challenge and "outgrow" their allergy. I've also see the same kids get their allergy back 2 years later. We have to fix the root cause. The chemicals, the psychological imposition on our idealism leaning toward food and gluttony instead of compassion and understanding. Don't get me wrong I WANT A CURE, but in the meantime I'm doing something more than just waiting for it. 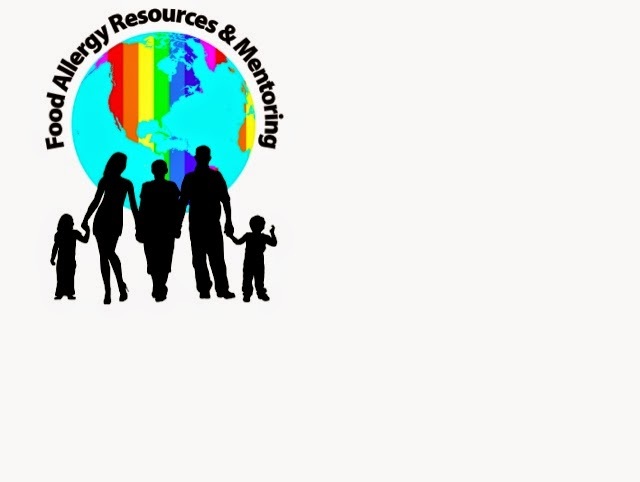 I started my own not for profit event organization called Food Allergy Resources & Mentoring www.fa-resources.org Our mission is to create public awareness of the growing food allergy epidemic across the globe and to provide a voice to those who live with food allergies. Through outreach and events we help to keep the topic of food allergies ongoing to promote positive changes and mindfulness in our communities. Please continue on this journey with me there, and take a moment to count your blessings this week. A friend of mine said to me "Your daughter's allergy may save your life." That could very well be true. A food allergy heightens your awareness of what you're eating, and in return you begin to eat much better which will help you throughout life. There's always a blessing in a challenge, but most people dwell on their challenges and don't see the blessing in time to fully appreciate it. Find your blessings this week and always.